The Vermont Department of Labor has awarded grants totaling $100,000 to eight organizations from Burlington to Bennington. 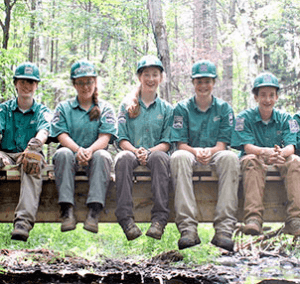 They will use the money to offer education and on-the-job training to Vermonters ages 16 to 24, with training in a broad array of fields ranging from early childhood development to forestry. The U.S. Department of Labor grant money comes from the Workforce Innovation and Opportunity Act. At the national level, unemployment numbers among the young are dire, according to the Economic Policy Institute, which says 33 percent of white Americans ages 17 to 20 are without work. For young minorities, the unemployment numbers are worse, with 36 percent of Hispanics and 51 percent of African-Americans ages 17 to 20 out of work. Youth unemployment has been a frequent topic for Sen. Bernie Sanders, I-Vt., as he campaigns for the Democratic presidential nomination. He has also introduced legislation that would spend $5.5 million in grant funding for state and local governments to employ 1 million Americans ages 16 to 24. At the local level, the grant money will allow the Montpelier Parks Department to hire six people, said Geoff Beyer, the director and tree warden. “These are people who, for whatever reason, are having trouble finding a job, and when they leave here, they’ll have job experience and a good reference,” Beyer said. Participants will learn landscaping and about invasive species, and will undergo training to use a chainsaw. The program also offers participants a chance to learn skills that will translate to any job, he said. “We’ll also be reinforcing basic job skills, like being on time and communicating when they have appointments, so they leave with high expectations of what is expected in the job place,” Beyer said. The Boys & Girls Club of Rutland County received a grant to hire four young people to work with children ages six to 12. The Sunrise Family Resource Center in Bennington received a grant that will allow the organization to hire 15 people to assist in its broad-reaching mission as a parent-child center, offering services ranging from job training to education for teen parents. “We’re trying to create independent citizens who have the skills needed to get a job and have a career and be a success at it,” said the Sunrise administrative director, Sarah Butterfield.